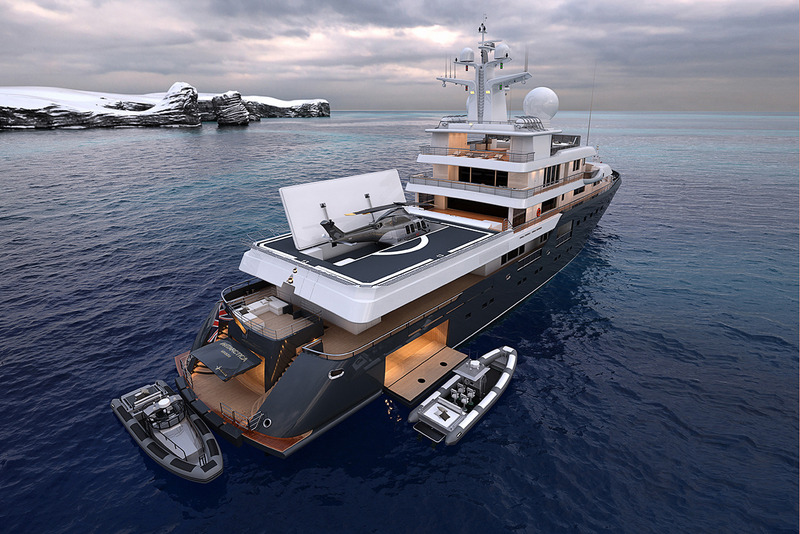 An extraordinary luxury expedition yacht that has it all! 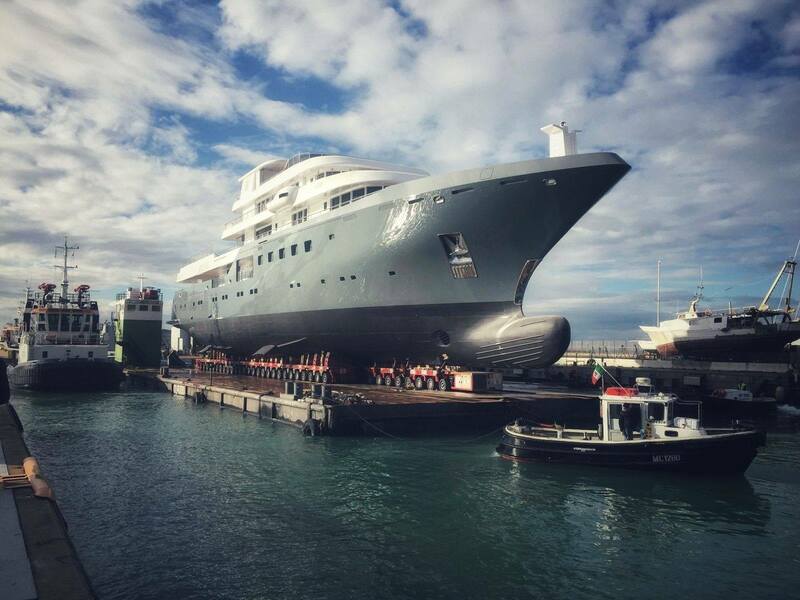 Italy-based shipyard Admiral of The Italian Sea Group launched the 73m/240ft custom explorer yacht in 2018. 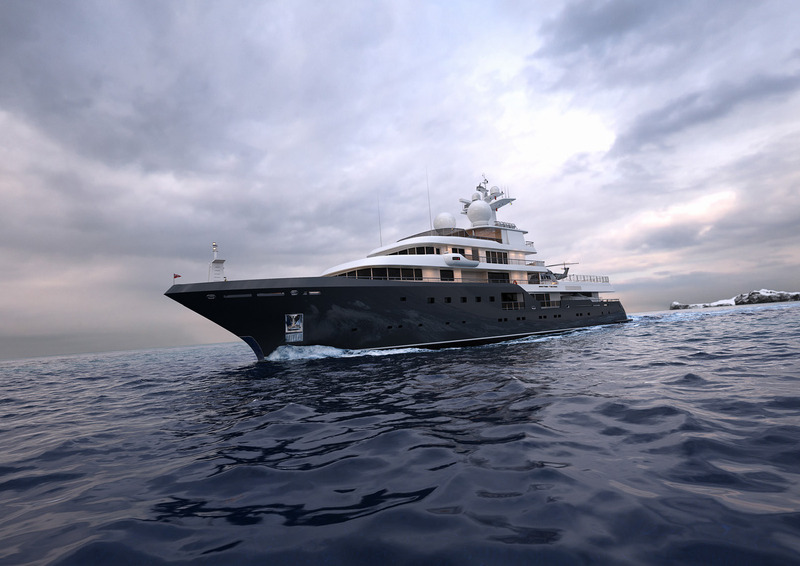 Constructed with a steel hull and aluminium superstructure, she has naval architecture by Alberto Ascenzi while internationally-renowned Tim Heywood was the interior stylist. 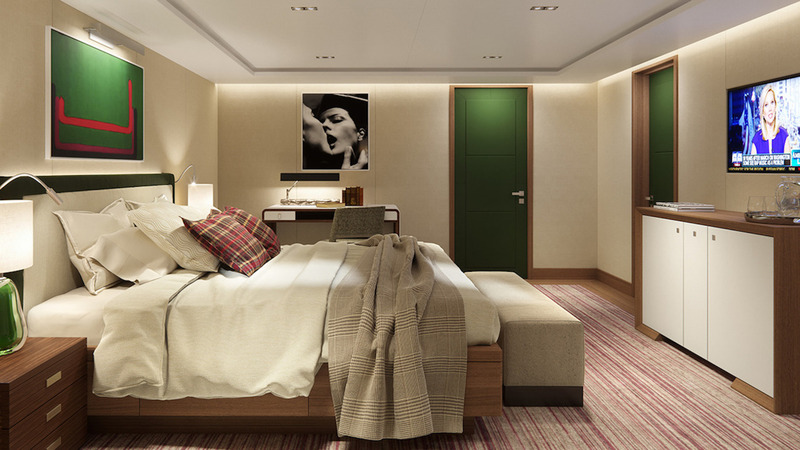 The accommodation sleeps up to 12 guests across eight cabins. 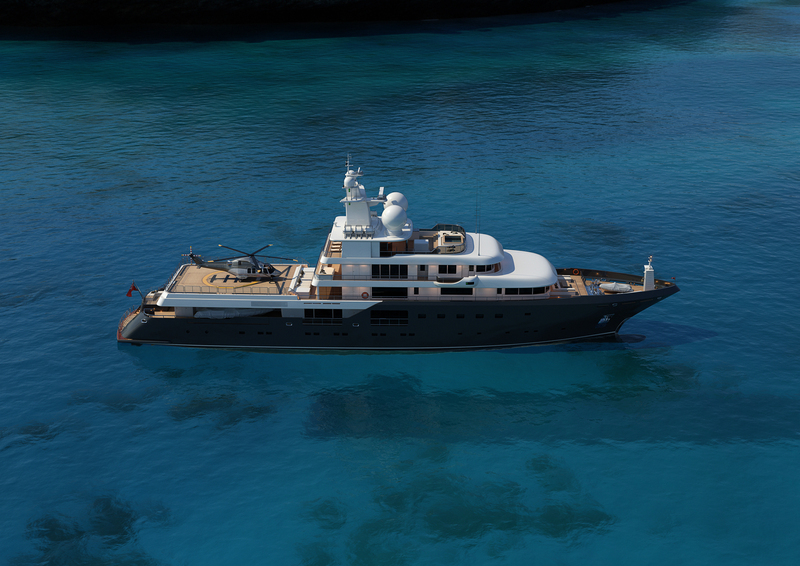 This superyacht is a perfect choice for adventure-seeking charterers looking for not only exceptional service and luxury experience, but also great onboard equipment, water toys and amenities. 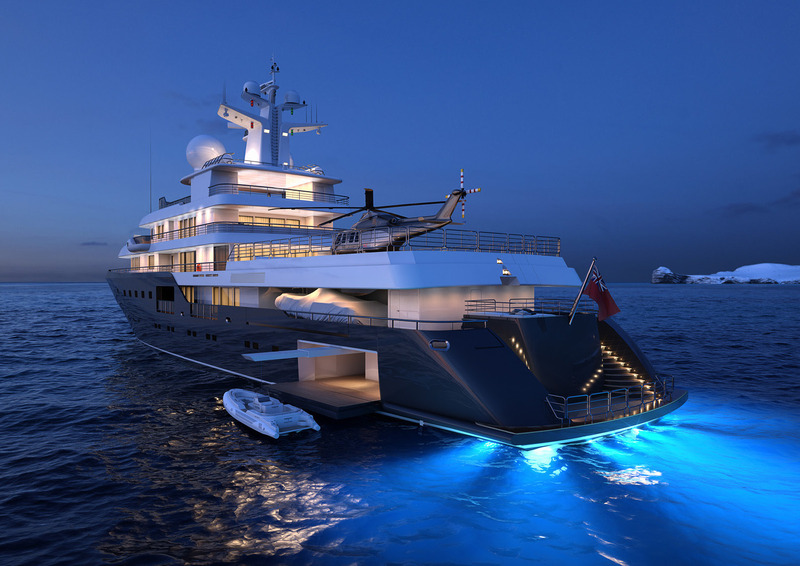 On the lower deck, the swim platform connects to the main deck aft via two staircases. 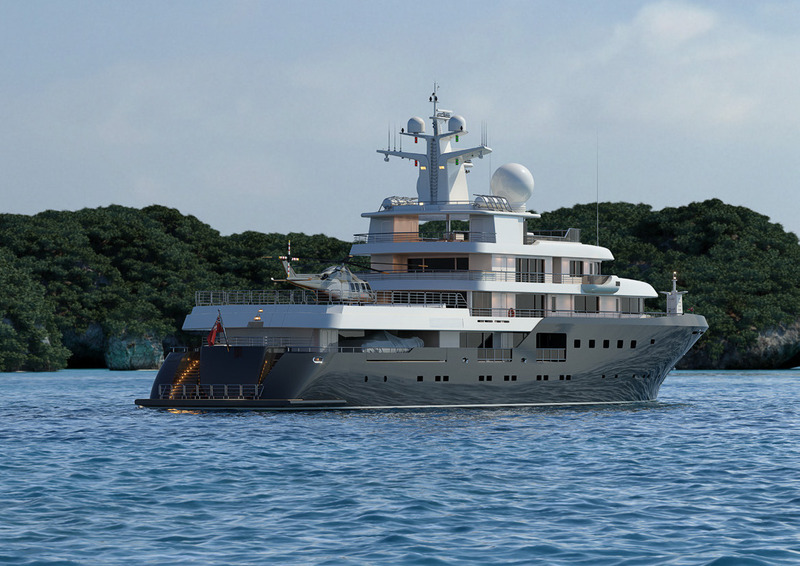 Space is used for storing the large tenders and water toys, and the side decks lead to the Owner's entrance and the crew corridor. 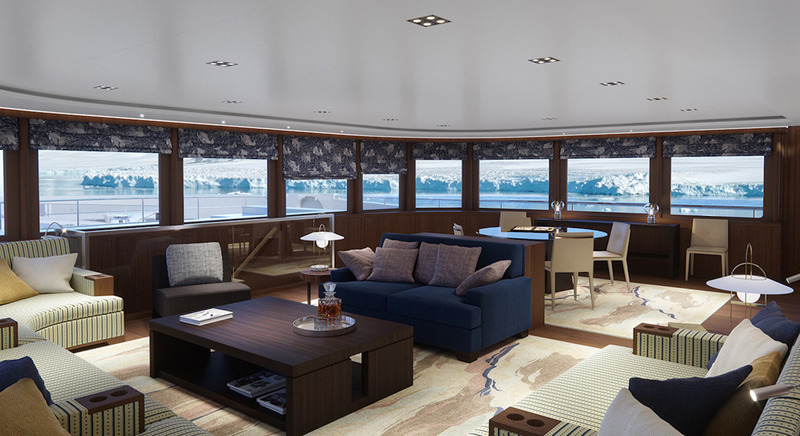 Above, the upper deck aft layout has a pair of sofas and coffee tables in the shade of the sundeck overhang close to the glass doors to the sky lounge. 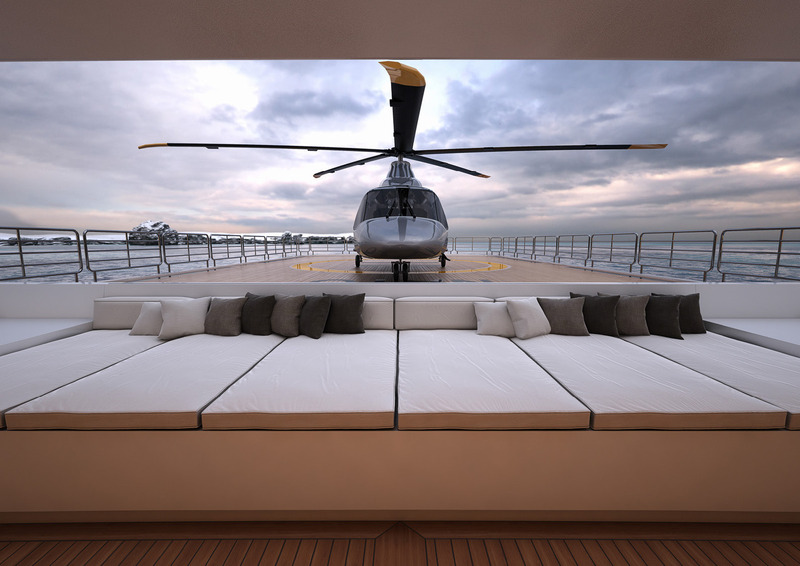 There is also an additional sofa and sun pads between the stairs leading up to the helipad, and on the other side along the stern is a staircase that leads to the podium seating area - a secluded. A Portuguese deck in front of the observation room provides a C-shaped sofa and two small tables for casual alfresco dining and drinks while marvelling at the scenery. 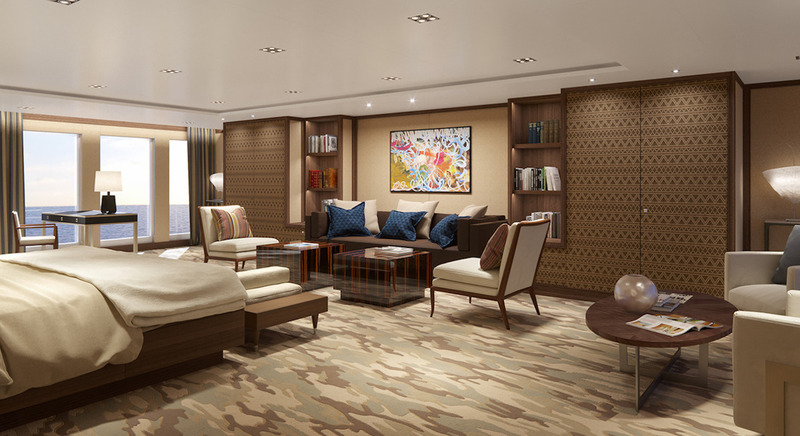 The aft of the bridge deck is a private terrace that joins the stateroom. 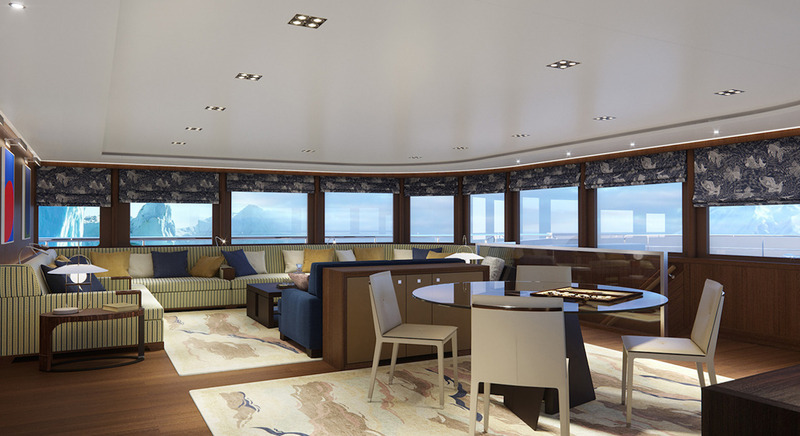 This aft area contains a sofa with a table for breakfast or evening meals away from the main group, while the wrap-around walkway also allows for excellent forward views while catching a regatta or watching fireworks over a bay. 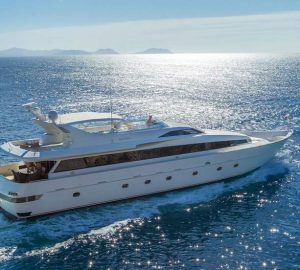 On the sundeck, guests have panoramic views and an abundance of sunbathing spaces: On the foredeck, there is a tempting Jacuzzi surrounded by sun pads, while to the aft there are a number of sun loungers. 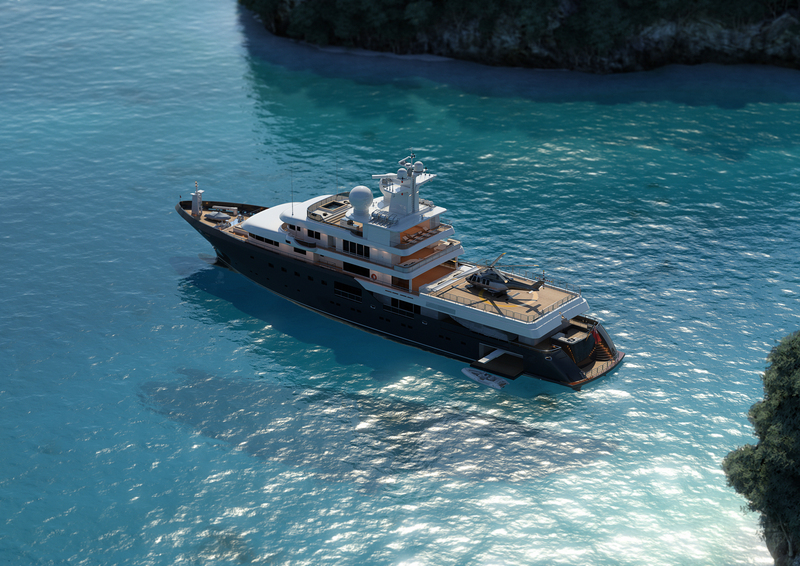 In the centre, a lift/elevator connects all decks and the shaded alfresco dining area provides a place where guests can relax outside all day long. Throughout the interior, neutral earthy colours of cream and brown are used with accents in blue. Striated wooden panelling is used to decorate each of the shared guest areas and different tones are used to reflect the formal or casual mood of the space. 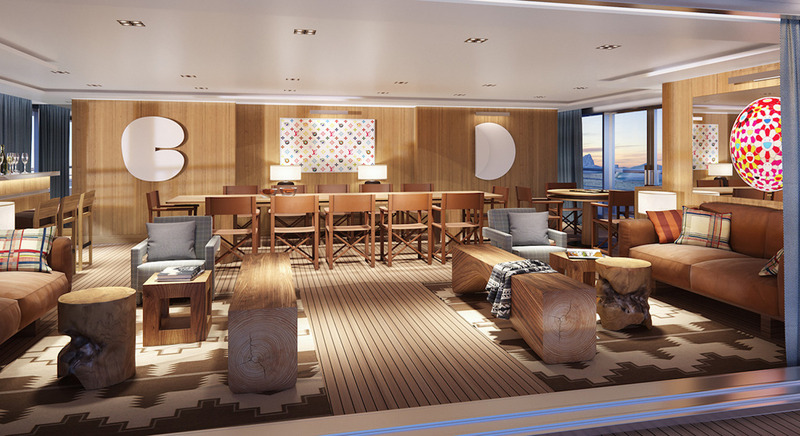 On the lower deck, the stern contains an aft beach club and a steam room and a sauna with a starboard-side terrace that opens out onto the sea. 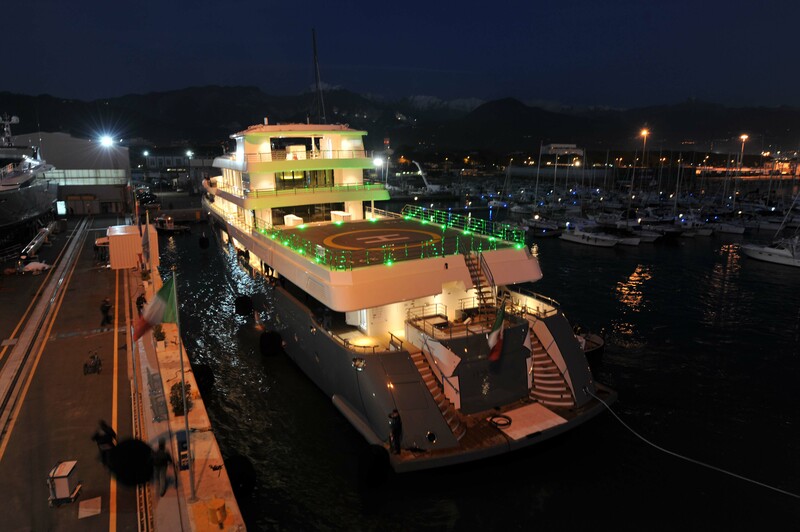 On the port side, there is a side-opening tender garage while farther forward is the guest accommodation, consisting of five VIP staterooms and a twin stateroom ideal for staff or children. 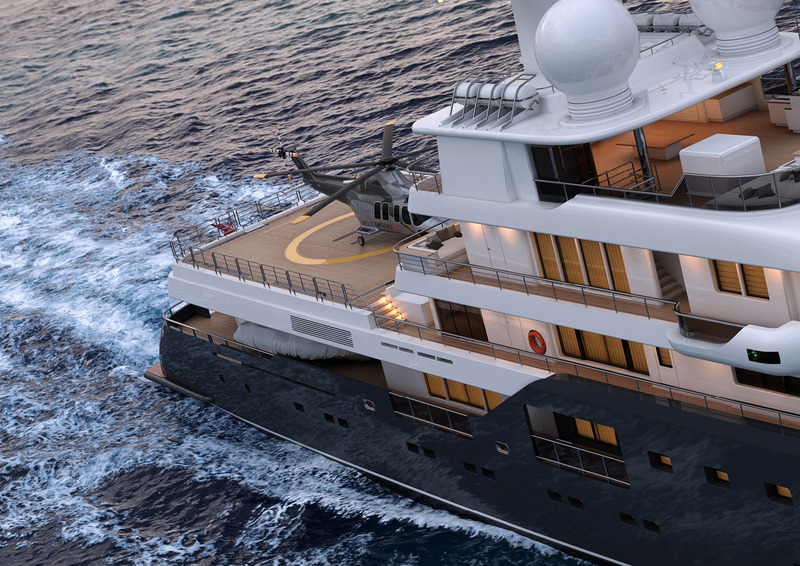 The forward section is dedicated to crew accommodation and facilities. 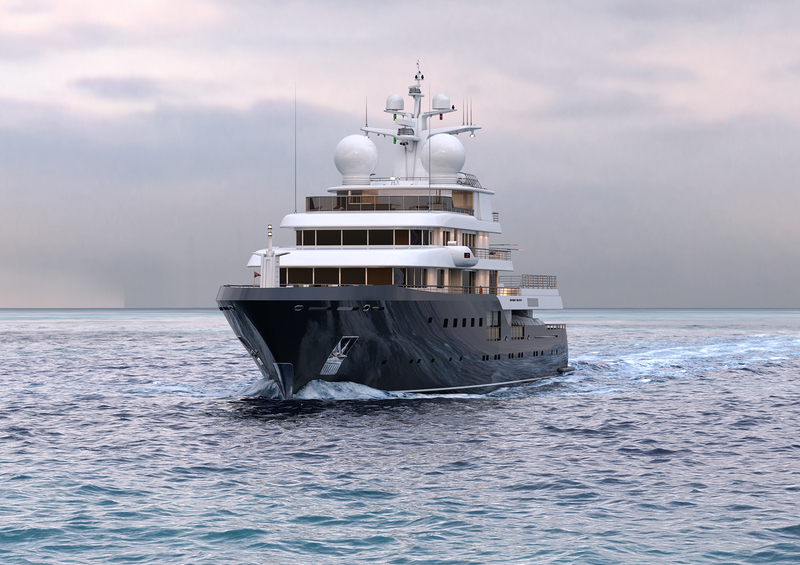 Above, the main deck contains 915m²/3,000ft² of space dedicated to the owner, offering a Master suite with an open plan lounge and an office with a spacious dressing room and en-suite bathroom. In addition, there is a cabin that doubles as another lounge. Forward, there is an opulent cinema that other guests can also access via a separate staircase. 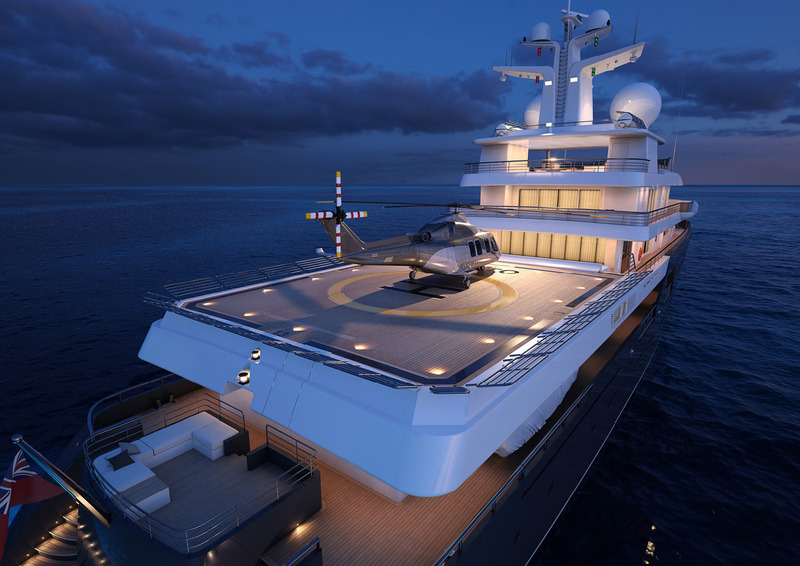 To the aft is the owner's hanger which has refuelling capabilities during extended periods at sea. 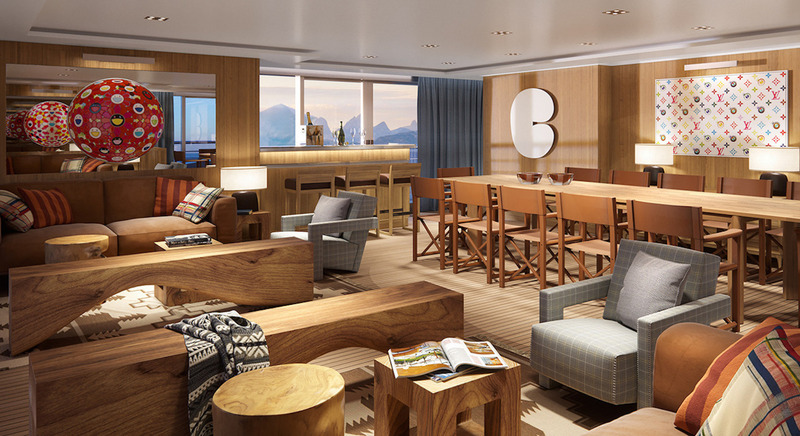 The upper deck has the majority of the shared guest space and full-height windows allow for brightly lit interiors in the breath-taking sky lounge, which features a forward formal dining area, a port-side bar and coffee tables and sofas creating a mirror image beside the doors out onto the aft deck. 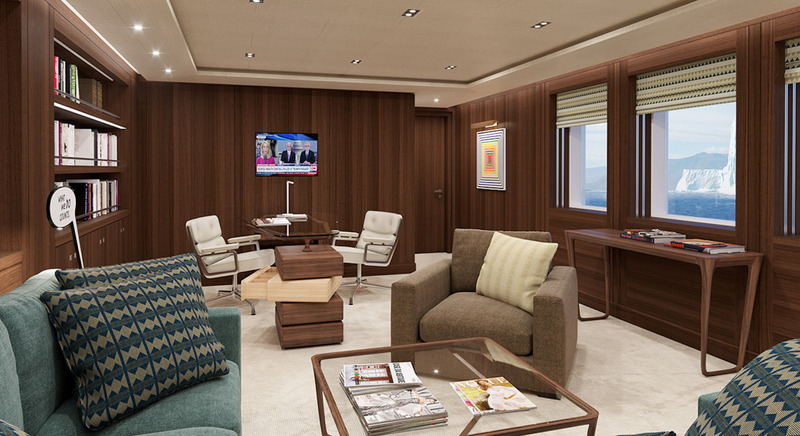 Charter guests who need to work on projects in peace have a library/office with internet access, while farther forward is the observation lounge where half-height windows form 180 panoramic views. 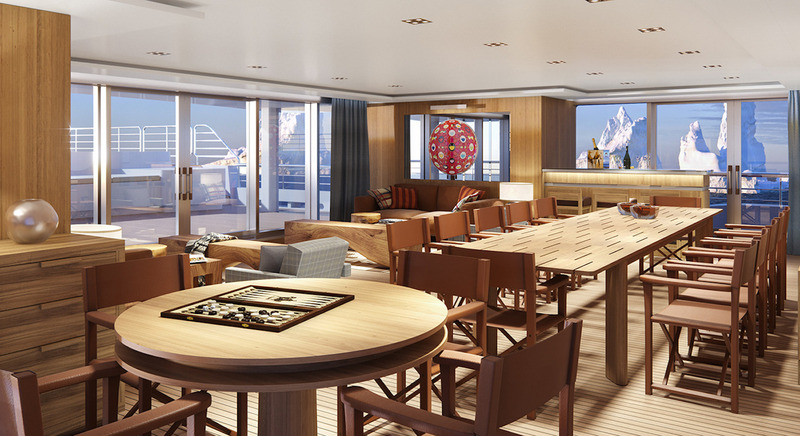 Within the observation lounge is a games table and an extensive C-shaped seating area around a coffee table. On the bridge deck, there is the forward helm station and the Captain's cabin beside the technical spaces. 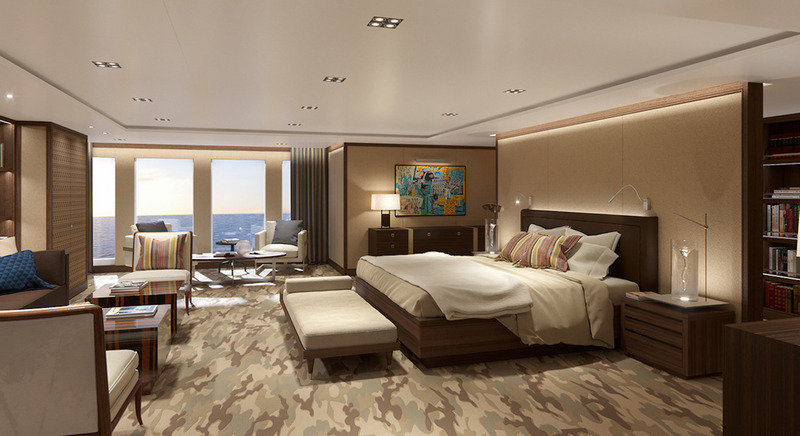 The last VIP stateroom is located to the aft and receives plenty of natural light through the aft sliding doors, which lead onto a private aft terrace. Inside, there are en-suite facilities and a walk-in wardrobe. 2 x 2,575 HP CAT 3516B engines allow for a cruising speed of 14 knots. The accommodation layout sleeps 12 guests across 8 en-suite cabins: 1 Master suite, 6 VIP staterooms and a twin cabin for staff or children. 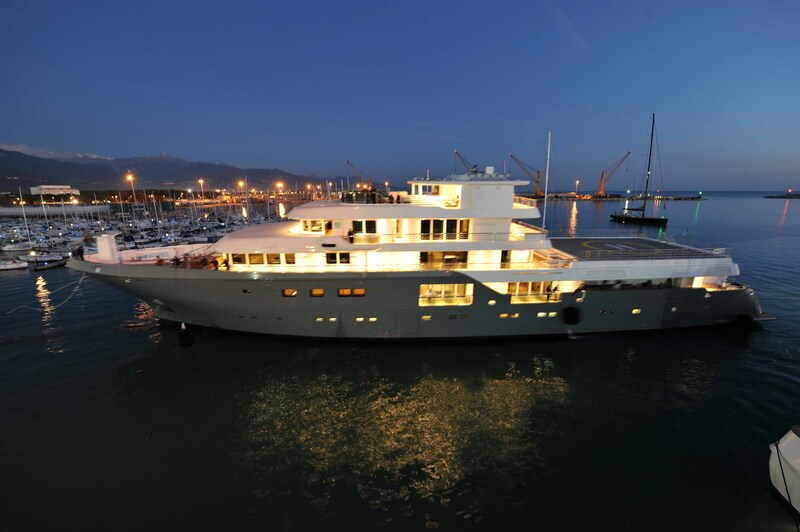 The crew accommodation provides for up to 20. 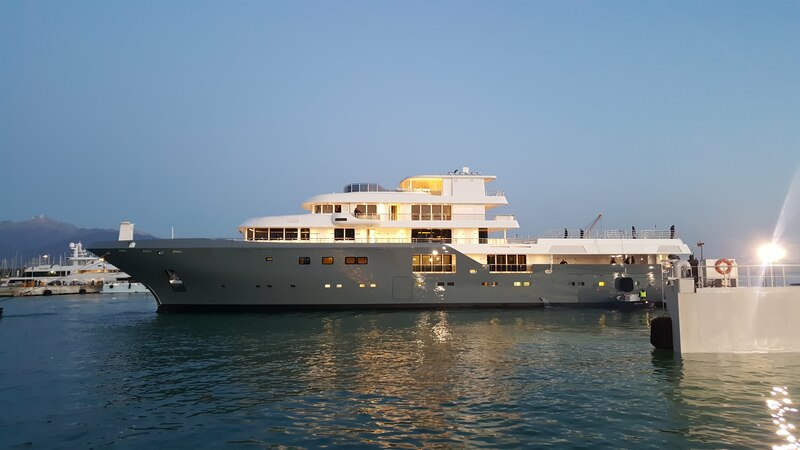 1 x 32’ (9.72m) Centre console Rupert RIB stored on main aft deck, 1 x 32’ (9.72m) Limousine Rupert RIB stored on main aft deck, 1 x 6m (19’09”) Rupert Service / Crew RIB stored in lower deck garage, port side, 1 x 5m (16’05”) Crew rescue Boat stored on the foredeck, 2 x jet skis, 1 x stand up jet ski, 2 x Seabobs, 4 x kite surf equipment, 2 x Paddleboards, 6 x Dive equipment, water skis and wakeboards, 2 x inflatable canoes, inflatable jungle gym & trampoline, mountain bikes, snowboard and snow ski equipment, snorkelling equipment snorkels, fins etc., towable inflatable toys, fishing equipment, fully custom MD 902 Explorer helicopter, air-conditioning, Wi-Fi.